This post has been sponsored by Starkey Water. All opinions expressed are my own. Summer’s not over yet and picnic season is still in full swing. 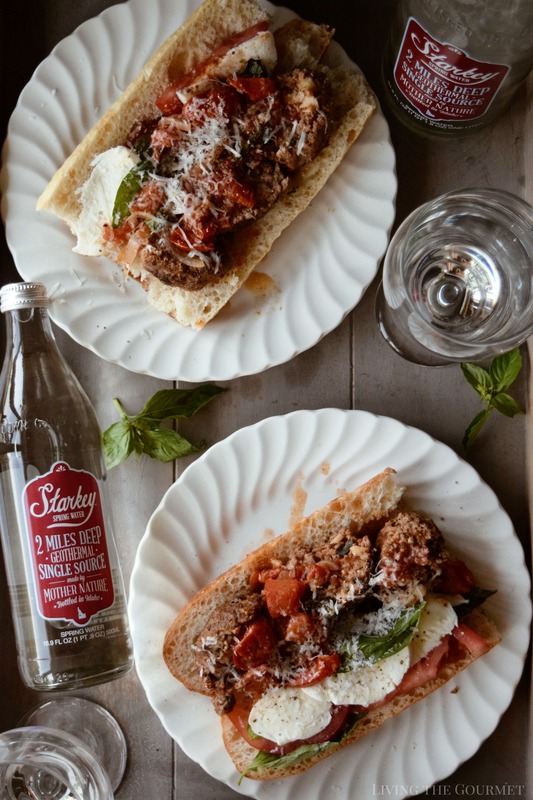 We’re serving up the ultimate summer sandwich today with these Italian Meatball Subs served alongside a cool, refreshing glass of Starkey Spring Water. As I’m sure this was the case in other Italian families of that generation, there was no small amount of pride involved in being regarded as the family’s best source of these quintessential items. For example, my family had a ‘Meatball Annie,’ grandmother to my cousin Sal, who would often tease my own mother over precisely this. After all, like all things culinary, meatballs are a very specific point of pride. That being said, for today’s recipe I wanted to do something a little different with my meatballs, but something that was still instantly familiar. I remember the first time my son ever had a meatball hero was in a corner pizza place owned by a barrel-shaped fellow named ‘Mike’ who sported strangely huge forearms. Back in the day, it was a ‘classic’ grungy pizzeria that was just grimy enough to be charming without being off-putting. The hero came wrapped in aluminum foil, and the instant it was opened the hero oozed red sauce as chunks of meatball spilled from the open sides laced in strings of melted mozzarella. For the next couple of minutes, my son was in “fast food” heaven. 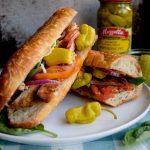 Today, I wanted to recreate a meatball hero but through a slightly more refined lens, which, of course, brings us to today’s recipe – Italian Meatball Subs LTG Style. To start things off we begin by heating a large cast iron pan (bet you didn’t see that coming), and simmer some tomatoes in it dry with a dash of sea salt. Then we add in olive oil, sliced onions, chopped garlic, fresh herbs, and the seasonings, and let that simmer before adding in a bit of wine and some grating cheese. From there, it’s time for the meatballs themselves, simply combine all of the ingredients listed below, and then form the meatballs into…well, balls and set them aside. Now, once again, heat a large cast iron frying pan with a drizzle of olive oil, and then place the meatballs into the heated pan a few at a time. Yes, just a few at a time. If you overcrowd the pan…everything is ruined. Then simply sauté the meatballs until they form a nice golden char on the outside. The cooking time depends on how large you formed your meatballs. For meatballs, the size of the ones in this post, about 1 1/2 inches, the cook should take about 10 – 12 minutes, again depending on the size of the meatballs. As the meatballs finish cooking, place them in the sauce, and let them simmer gently there for another 15 – 20 or so minutes. Now, it’s time to assemble the heroes, which we put together with freshly sliced tomatoes, fresh basil, and sliced fresh mozzarella. Heat a large cast iron frying pan. 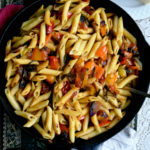 Place the tomatoes in a dry pan, sprinkle with fresh sea salt and let the tomatoes simmer. Gently, cook down the tomatoes, about 5 - 6 minutes or so. Add the olive oil, sliced onion, chopped garlic, fresh herbs, and seasonings and gently simmer for 3 - 5 minutes. Add the wine and the cheese and and continue to gently simmer for another 3 - 4 minutes. Taste for seasonings. Turn the heat off. Combine all of the ingredients in a large bowl; add a small drizzle of olive oil and mix with your clean hands. Form the meatballs into desired size, keeping in mind, the smaller the meatball the quicker it will cook. Place the meatballs in the prepared heated pan, Do Not Over Crowd the pan, and let saute until a nice golden char is formed on each side of the meatball. The cooking time should take about 10 - 12 minutes. The cooking time depends on the size of the meatballs the larger the meatballs the longer the cooking time.The meatball will continue to cook as the sauce simmers gently. Gently lift the meatballs from the pan and place in the sauce. Gently simmer on a low heat for 15 - 20 minutes or so. Slice bread down the middle and place meatballs on the bread - sliced or whole. Next Place fresh sliced tomatoes, fresh basil leaves, and fresh sliced mozzarella. Drizzle extra sauce over subs and serve! 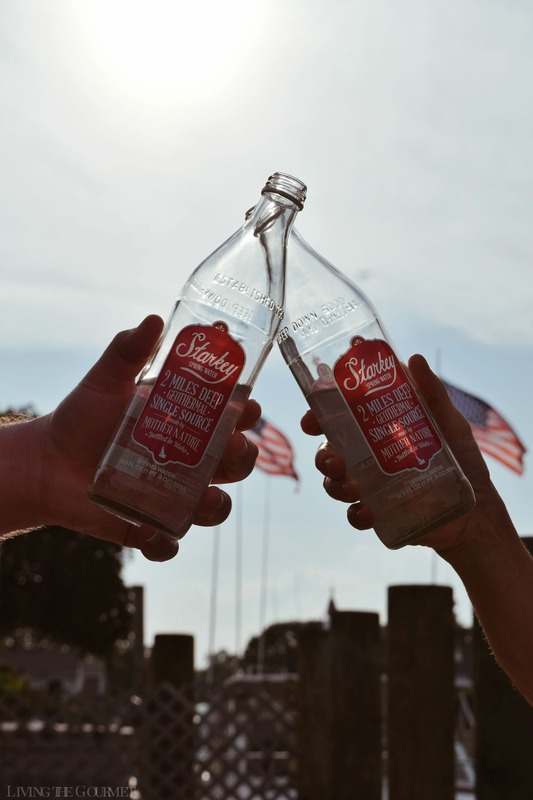 To pair with these heroes – Starkey Spring Water. Now, I wrote recently about how we don’t often think of water as being an ‘ingredient’ in our recipes, despite it being ever-present in one form or another in every recipe that we prepare, either being added directly or as part of another ingredient. To that point, and to stress the importance of quality water, I wrote about how the physical qualities of your water, such as hardness and pH, as well as bacteria and inorganic impurities, can all affect the texture, flavor, and odor of your recipes. But what about the water you decide to drink on its own? Can truly ‘quality’ water effect the food it’s paired with in the same way that a truly quality wine can? 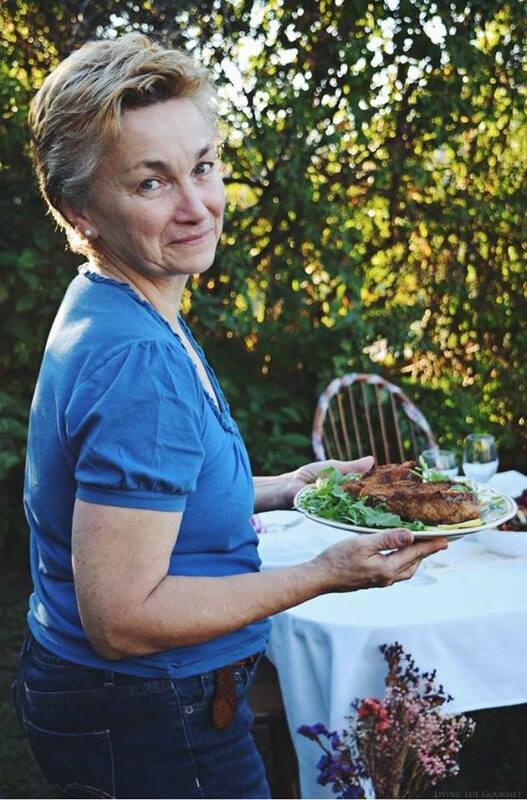 Let’s consider that wine is the single most biologically complex beverage that humans drink with any regularity and therefore accentuates a good meal by the addition of its own flavors, textures, and aromas. Water, on the other hand, is the single most simple beverage we drink – bar none. In other words, the more ‘complex’ water is, the lower quality it is – to a point. Drinking ultrapure water, for example, will strip your insides of minerals, and can result in death. Quality water, therefore, is a balancing act – and one that is best left to nature in its most pristine incarnation. With just the right amount of minerals, and a pH that hovers roughly in the 9.6 area, water should have a ‘silky’ or ‘cushioned’ texture, with a flavor that has just a ‘hint’ of where it’s been stored, but that is dominated by a sort of ‘indiscernible’ or ‘barely there’ minerality. Naturally, a water like this will not only be a pleasure to drink on its own, it will bring out the best in whatever you’re eating. Of course, I’m describing today’s product – Starkey Spring Water, which is plumbed from two miles beneath the Earth’s surface from a geothermal spring source formed roughly 11,000 years ago according to the carbon dating. 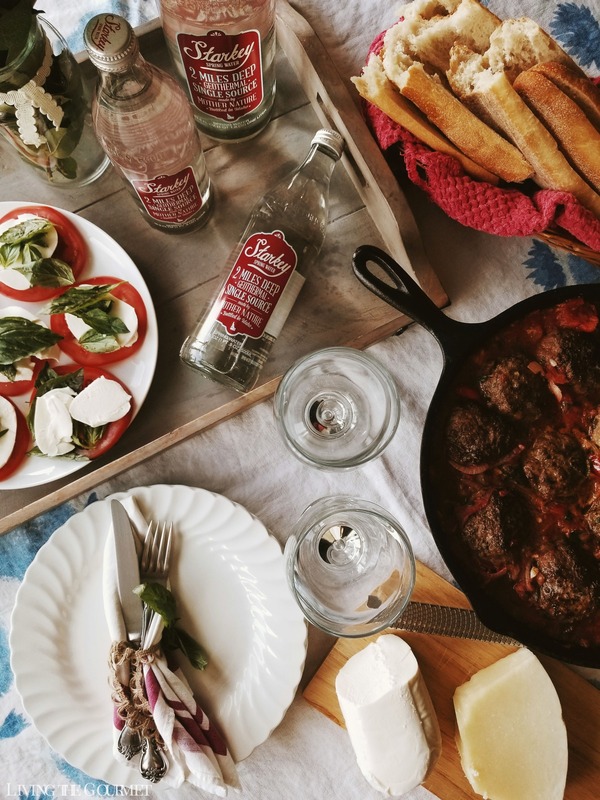 For a bright summer day paired with today’s meatball hero, Starkey Spring Water was an obvious pairing choice. 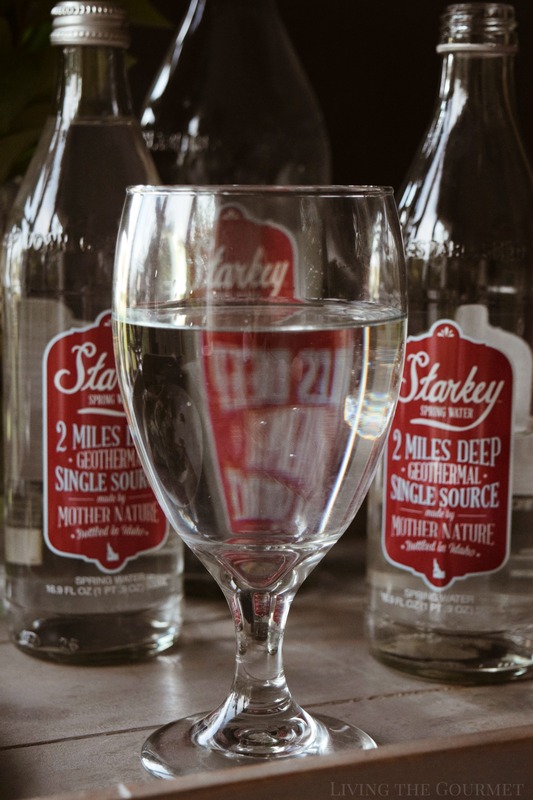 To try for yourself, Starkey Spring Water is available at your local Whole Foods, or from Amazon Fresh. Today we’re offering one luncky LTG reader 1 case of 1L glass Starkey Springs Water + a $50 Whole Foods gift card! To enter simply follow @StarkeyWater on Twitter, Facebook and Instagram then comment below letting us know that you did so. Good luck! :UPDATE: THIS GIVEAWAY HAS ENDED. THANK YOU TO ALL WHO ENTERED! CHECK BACK AGAIN FOR MORE GIVEAWAYS COMING SOON! I followed you on all three platforms. I'm following Starkey on FB (Amy Maddux Cooley), Twitter (@acools) and IG (@amymadduxcooley). Thanks for the giveaway! 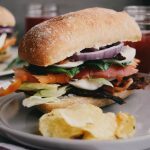 These subs look delicious! I love meatball subs. I follow Starkey Water on all three accounts! I would love to try this water. People look at me crazy when I tell them that different waters do not taste the same. They say water is water. Well I know that all water is not good. I have only a few that I really love. I am sure the Starkey water is amazing! What a scrumptious looking meatball sub! 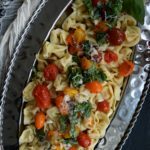 Perfect twists for a summer version--you've made me crave meatballs! Such a classic, my other half can't live without his meatballs at least once a week, so he is going to love this recipe! Thanks so much for sharing! Following on all the platforms! My mouth is just watering like crazy after seeing all the pics of the meatball sub. YUM!!! I am following @StarkeyWater on all social networks. Followed on all three platforms. I wish we had a whole foods here, they are moved 2 hours away. Boy this sandwich looks amazing I could eat this everyday! I have never actually made meatballs myself, though my son makes a mean batch of them. Your recipe has me inspired to give them a try. Thank you! When I had my first child a friend of ours brought us a TON of meatballs with baguettes and cheese for subs and noodles for spaghetti and meatballs. They were delicious and from then on out that has been my go-to for meals for friends at times of new babies, hard days, loss, etc.... THIS may just need to be my new meatball and sauce recipe! It sounds so delicious and would be a hit with anyone receiving it as a meal. Thank you!!!! Those meatballs look so incredibly moist and tender that now my stomach is growling. Maybe these will replace the over-priced meatballs I buy from a local Italian restaurant that my husband eats himself sick on. I am SO down for this sandwich. It looks amazing! Meatballs are everyone's fave! I am following @StarkeyWater on Twitter, Facebook and Instagram. BTW, I'm going to make these subs for my family this weekend. They look amazing! 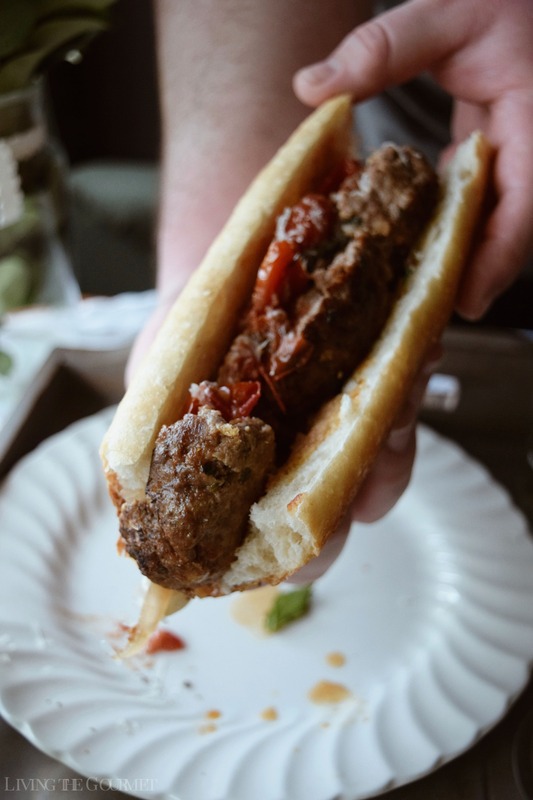 Meatball subs are one of my all time favorite lunches. I don't know why I think of it as a lunch food but I do haha This recipe looks divinnnne and it does pair so well with bubble water, I'll have to try that! These look so amazing! 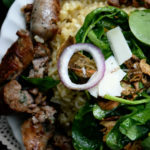 This recipe is right up my hubs’ alley, so I’ll have to try this this out for him. I followed them on all three sites. This recipe looks great. Follow on Facebook - Holly McNamara Thomas, Twitter - @HollyThomas61, Instagram - Ravenette61. These look absolutely fantastic! 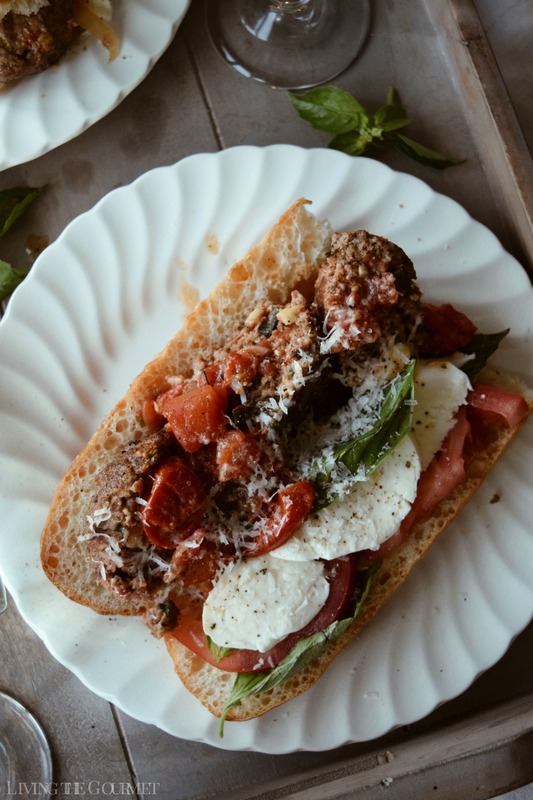 I love that you've basically combined a meatball sub with classic caprese. Yum! This Snadwich looks wonderful wish I had that right now. Followed and liked all..
Wow! Totally in love with this one. What a great recipe combo and meatballs looks so delicious. Thanks for sharing! This looks like my kind of lunch!! Love the addition of the caprese flavors to the sub! This looks like a sandwich I can eat every day of the week! I love that you made your own sauce too. Looks amazing. I followed on all three. The recipe looks so delicious! These heros look amazing, making me so hungry reading this. Clean fresh water is so important to drink all day long! That sub looks soo yummy! I follow on twitter,facebook and instagram.